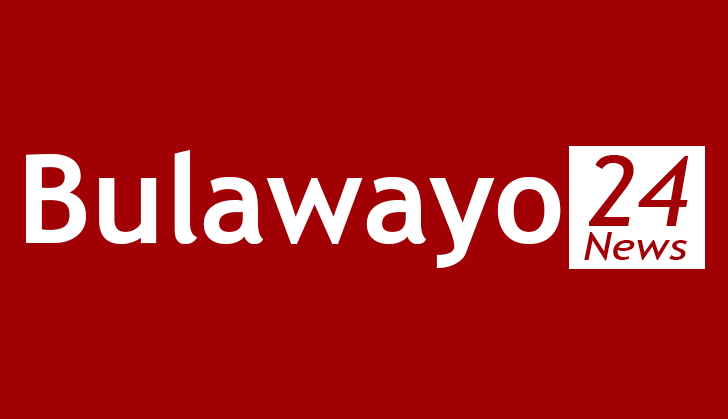 FOUR injiva linked to an organised syndicate of armed robbers who raided shops in Bulawayo and terrorised residents, seizing about $7 200 in cash and 18 grammes of gold, were yesterday jailed for a combined 120 years. The gun-toting quartet was involved in a spate of armed robberies around Bulawayo targeting homes and shops. They teamed up with suspects who are still at large and raided TM Pick 'n' Pay Supermarket in Northend, Morningside Supermarket and Choppies Supermarket in Pumula South suburb where they got away with varying amounts of money, groceries and an assortment of whiskey brands between March 4 and March 16 this year. Mqondisi Moyo (34), Ndabezinhle Ndlovu (24), Zenzo Sibanda (34) and Nkosiwonke Ncube (28) all based in South Africa were convicted on their own pleas of guilty to armed robbery by Bulawayo regional magistrate Mrs Sibongile Marondedze. In passing the sentences, Mrs Marondedze who presided over the cases divided into four records ruled that the four men were a danger to society and deserved lengthy prison terms. "In assessing the sentence, the court took into account both mitigatory and aggravating circumstances. Robbery is a serious offence which is prevalent these days and therefore calls for a deterrent sentence. What is aggravating is that the accused persons armed themselves with a firearm and crossed the border with the sole purpose of causing havoc and terror in Bulawayo and instilling fear in residents," she said. "The accused persons robbed the complainants in a movie style, which could be a clear indication that they first watched an action packed movie before engaging in this spate of armed robberies." Moyo and Ndlovu, the masterminds of the gang who took part in all the crimes, were incarcerated for a combined effective 64 years. The other members of the gang, Sibanda and Ncube were jailed for a combined effective 32 years. The four men, in mitigation, told the court that poverty drove them to use an illegally acquired firearm smuggled from South Africa to instil fear in their victims before robbing them. They were each sentenced to 10 years in jail for each count of which two years were suspended in each count for five years on condition that they do not within that period commit similar offences. Ncube, the youngest in the gang, got the least sentence of an effective eight years while Sibanda will serve an effective 24 years in jail. Prosecuting, Mr Simbarashe Manyiwa said between March 4 and March 16, the armed robbers connived and went on a robbery spree. "On March 4 this year at around 7.24PM, Moyo and Ndlovu who were in company of two accomplices only identified as Mike and Rangeman both still at large, hired a Honda Fit pirate taxi (registration number ACT 2570) to Morningside suburb," he said. The court heard that on arrival, they ordered the driver of the pirate taxi to park a few metres away from Morningside Supermarket before they disembarked and walked to the supermarket. "Ncube produced a pistol and ordered everyone who was in the shop to lie down. The accused persons ransacked the shop and stole $1 380 and several bottles of whiskey before they fled from the scene," said Mr Manyiwa. They were, however, captured on CCTV cameras while committing the offence. Two days later, the gang went to Ms Silethemba Dube's house in Pumula North in the evening. Moyo and Ndlovu remained outside while their accomplices got inside. They produced a pistol and demanded money from Ms Dube. They force marched her to her bedroom where they opened a handbag and stole $240 and R2 800. On March 12 at around 7.30PM, Moyo, Ndlovu and Sibanda in the company of Mike, Rangeman and one Mandla, went to Choppies Supermarket in Pumula South armed with a pistol. They fired shots in the air and ordered shoppers and employees to lie down before they ransacked cash register machines and went away with $768. Two days later, the gang went to a homestead in Hope Fountain on the outskirts of Bulawayo and robbed the owner of 18 grammes of gold and $3 000. On the following day, Moyo, Ndlovu, Sibanda and Ncube teamed up with their accomplices who are still at large. They went to a house in Mahatshula suburb masquerading as police officers and produced a pistol before ordering occupants to lie down. "They raided the house and took a solar panel, solar battery, laptop, a smartphone, a welding machine, a passport and $1 400," said Mr Manyiwa. On March 16 at around 7.30PM, the accused persons drove to TM Pick 'n' Pay Supermarket in Northend. On arrival they fired a single shot in the air and ordered everyone who was in the shop to lie down. They stole $200, which was in the till machines and bolted out of the shop before jumping into their gateway car, a Mazda Demio registration number ACL 7100 and sped off.